Hey friends! I know it’s been awhile, but I wanted to pop by today to share one of my recent projects. I acquired this amazing vintage fabric with watches on Ebay. Actually, I had Phillip bid on it for me because I have total Ebay anxiety and I hate bidding on things at the last minute, which is what you have to do if you really want to get something. I was so relieved when he won it! I had just enough to make this simple pleated skirt. 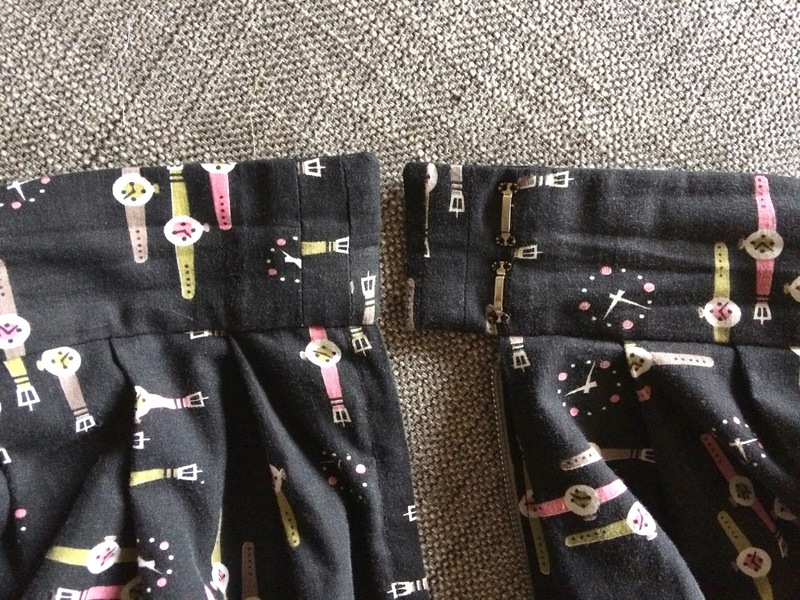 I had to do some creative piecing to get the waistband long enough. Luckily the direction of the print makes it hard to notice. 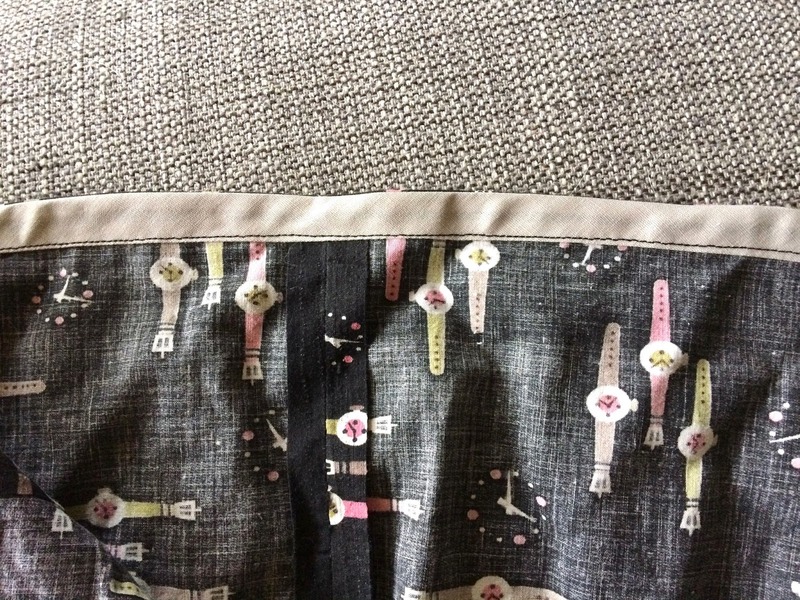 I finished the hem with bias tape- this is my favorite method for skirts-especially when you don’t want use up too much of the length. Also you can pick a coordinating color which adds a bit of extra detail. I’m so in love with this print! Maybe one of these days I’ll make a repro of it to add to my Spoonflower shop. What do you think?